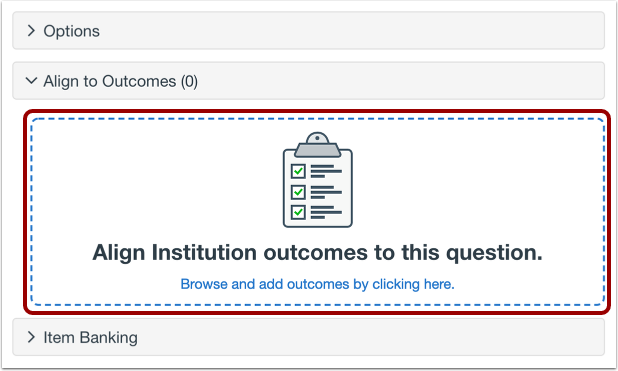 When creating an assessment, you can create a Matching question in Quizzes.Next. 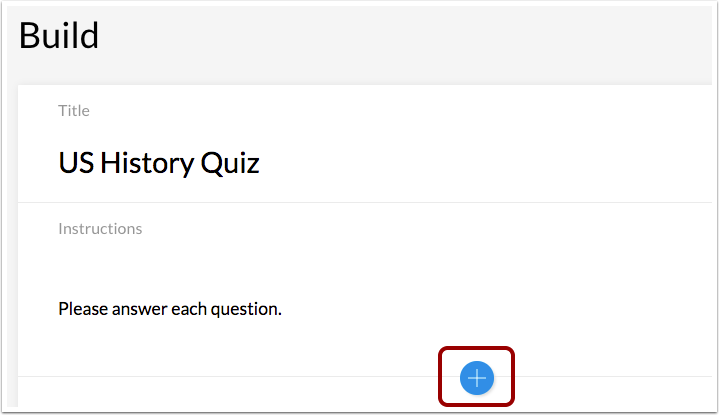 In a Matching question, students are required to match answers from a drop-down menu with a list of questions. When Matching questions are graded, students must get all matches correct to earn full points. 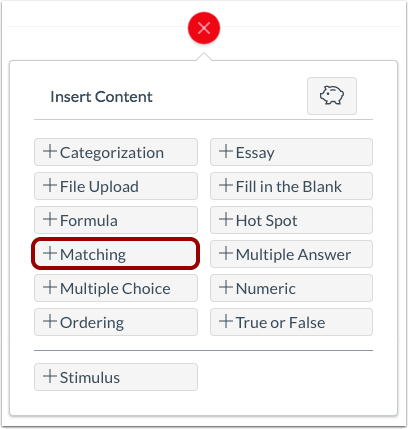 There is not an option to assign partial credit for Matching questions. Click the Add Matching button. To add a question and answer pair, type the question in the Question field  and its matching answer in the Answer field . To add additional Question/Answer pairs, click the Add Question/Answer Pair link . To delete a Question/Answer pair, click the Delete icon . To shuffle questions, click the Shuffle Questions checkbox . You can also add additional distractors to the question. Distractors will appear in the drop-down menu with the answers added in the Answer fields. To add a distractor, click the Add Distractor button  and type the distractor name in the Additional Distractors field . To delete a distractor, click the Delete icon . Previous Topic:How do I create a Hot Spot question in Quizzes.Next? Next Topic:How do I create a Multiple Answer question in Quizzes.Next? Table of Contents > Quizzes.Next > How do I create a Matching question in Quizzes.Next?